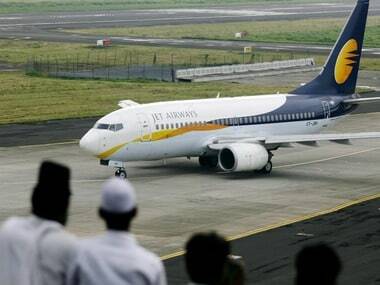 Mumbai: Jet Airways, facing its worst existential crisis in its over 25-year-old history, on Friday extended suspension of its international operations till next Monday due to severe liquidity issues. Incidentally, the stake sale bid invited by the SBI-led consortium of bankers, which manages the day-to-day operations of the airline, also closes by the end of the day on Friday, after being extended by two days. Airline founder Naresh Goyal, the UAE carrier Etihad Airways, Air Canada and the country's national investment fund among others are reported to have submitted bids, according to media reports. On Thursday, the airline had announced temporary grounding of its international operations for the day - Jet Airways was the largest international airline from the country till the financial crisis. 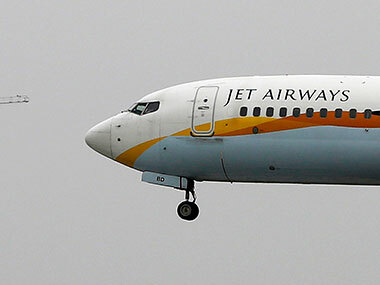 It had also suspended operations to the entire Eastern and Northeastern markets as Jet Airways was forced to ground 10 more aircraft following default of lease rentals. This has left Jet Airways with no large aircraft while it had just 14 planes for domestic operations as of late Thursday. "Jet has decided to extend suspension of its international operations till Monday, due to severe cash crunch," airline sources told PTI on Friday. Jet Airways was the largest domestic carrier operating in the international sector with a hub in Amsterdam, where a cargo agent had taken possession of an aircraft this on Tuesday demanding bill payment. This led to the cancellation of the Amsterdam-Mumbai flight that day. On Thursday, Jet Airways flights to London, Amsterdam and Paris from Mumbai, New Delhi and Bengaluru scheduled were cancelled for operational reasons," Jet Airways had said, adding it had also cancelled the Bengaluru-Amsterdam-Bengaluru flight on Friday. On the domestic front, all Jet Airways operations to and from the Eastern and Northeastern states were suspended till further notice. Following this, there would no Jet Flights flights to and from Kolkata, Patna, Guwahati and other airports in the region, travel industry source had told PTI. 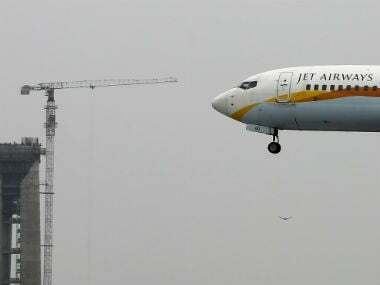 Jet Airways had also said its Mumbai-Kolkata, Kolkata-Guwahati and Dehradun-Guwahati-Kolkata flights stood cancelled till further notice due to "operational reasons." As of Thursday, the airline had just 14 planes — way down from 123 planes in operations till a few months back. Of the 14 aircraft that it operated till Thursday evening, eight were wide-body B777s (seven) and an A330 — generally used for long-haul international operations. The remaining six planes were, three B737s, which are largely used for flying on domestic routes besides on short-haul international destinations and the rest three are regional ATRs. With just 14 aircraft left for operations, aviation secretary Pradeep Singh Kharola had told PTI that the ministry was awaiting a report from the DGCA to decide whether Jet Airways can continue to fly on international routes. The government rules stipulate an airline must have at least 20 planes for operating international operations.